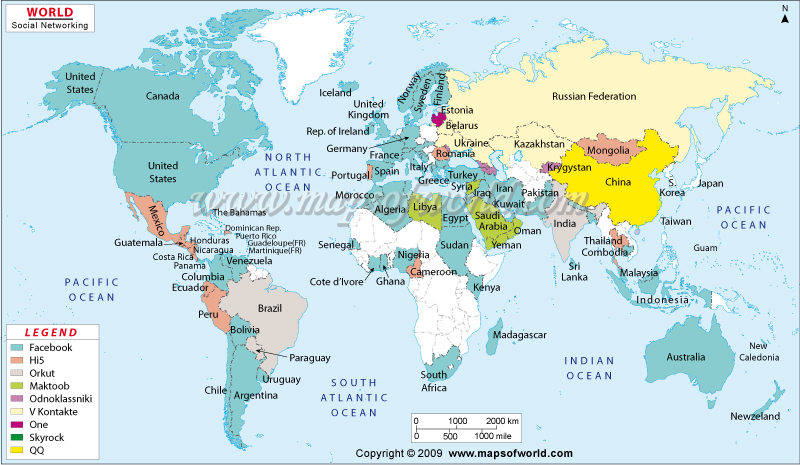 World social networking map shows the popularity of social networking websites across the world. The map is based on the data collected using Alexa and Google trends for Website traffic. World social networking map shows the popularity of social sites across the world. The map is based on the data collected using Alexa and Google trends for Website traffic. World social networking map shows the most popular social networking websites like Facebook, Orkut, Facebook, Friendster, Myspace, Skyrock, Hi-5 and more across the world. World social networking map, based on the data collected using Alexa and Google trends for Website traffic data of June 2009, helps in determining the popularity of social sites across different parts of the globe. As per the map, Facebook is the most popular social networking site in the world.